Reiki is pronounced Ray-Key. The word Reiki is derived from two Japanese words – “rei,” meaning “Universal Spirit,” and “ki.” Meaning “life force energy.” The word Reiki, therefore, refers to a balanced cosmic and life force energy. Because of its qualities of universal energy, it seems to have a basic consciousness which, when used for healing, is able to provide exactly what is needed on all levels. Reiki therapy utilizes spiritual and universal energy to assist the healing process. Healing can occur on the physical, emotional, mental or spiritual levels. Reiki practitioners channel energy in a particular pattern to heal and harmonize. 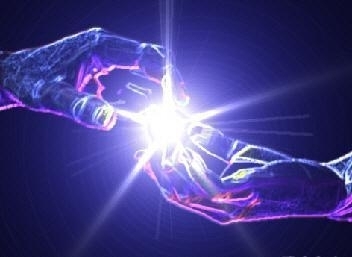 In Reiki, the healer places the hands above the recipient; however, it is the recipient that draws the energy as needed. Thus, in this case, the individual being healed takes an active part in the healing process as opposed to having a passive part in spiritual healing. The individual takes responsibility for his or her healing. The recipient identifies the needs and cater to them by drawing energy as needed. Unlike other healing therapies based on the premise of a human energy field, Reiki seeks to restore order to the body whose vital energy has become unbalanced. Although there are a few positions in which the practitioner is in contact with the client (such as cradling the head), most Reiki treatments do not involve actual touching. The practitioner holds his or her hands a few inches or farther away from the patient’s body and manipulates the energy field from there. Reiki has the remarkable ability to heal on all levels of being including the body, mind, emotions, and spirit. Many people reports entering a very deep state of relaxation. The philosophy of Reiki is centered on calming the mind, the breathing slows down, feelings of well-being and a better sense of perspective are attained. By utilizing Reiki in Indigo children and adults, the intense emotion and fear of their anxiety attacks can be lessened. Another attribute of Reiki treatments is that Reiki can help recipients sleep better and work to sleep more soundly. Reiki can relieve muscle tension and pain, as well as help to enable the recipient to become more in tune with their bodies and not see them as a source of stress or discomfort. Reiki is an excellent therapy for Indigos because they are empaths. This means they often unknowingly take on others emotions and energy state. Balancing, clearing, and re-storing their energy field is extremely important. Caregivers burn out, too and become frustrated, depressed and often overwhelmed with the daily grind of providing round the clock, tireless care for the Indigo. Caregivers should prioritize their own health and well being, as they are sometimes the only support for those in their care and if they lose energy or perspective the task at hand becomes that much harder. Reiki has been studied by researchers at the National Institutes of Health and has been shown to reduce pain, anxiety, and to promote healing in a variety of conditions and individuals. While not a cure per se, Reiki is currently being used in some of the top Hospitals and Treatment Centers in the United States for such conditions as Cancer, PTSD, and Autism. 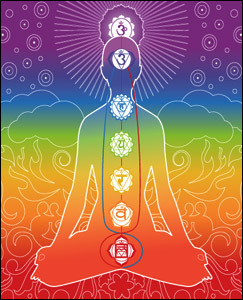 Reiki helps promote balance in the body in the physical, emotional and metaphysical realms. The “Ki” or Life Force energy is the target of the Reiki Practitioner. He or she works to enable a positive flow of this energy and seeks to correct imbalances and faulty wiring.